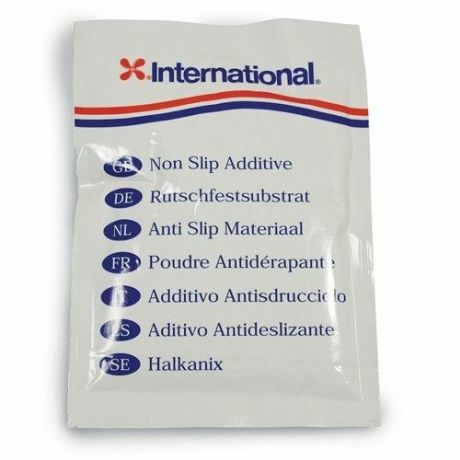 International Non-Slip Additive is a synthetic, granular material that can be added to topside finishes prior to application or sprinkled onto wet paint as an aid to providing a more slip-resistant finish. As with the matting additives, the final result is determined by the amount of material added into the finish. For addition to International Paint gloss finishes and varnishes to provide a non-slip surface. Non-Slip Additive is effectively colourless when mixed into paint, so no change in shade should be observed. 1 sachet per 750 ml paint.